Native to the Mediterranean and Middle East, almond trees have become a popular nut tree for home gardens around the world. With most cultivars only growing to a height of 10-15 feet (3-4.5 m.), young almond trees can easily be trained as espaliers. Almond trees bear light pink to white flowers in early spring before they leaf out. In cooler climates, it’s common for these flowers to bloom while the rest of the garden still lies asleep beneath the snow. Almond trees can be purchased from garden centers and nurseries, or propagated at home from an existing almond tree. Let’s take a look at how to propagate an almond tree. Most almond cultivars cannot be propagated by seed. The seeds of some hybrids are sterile, while other almond cultivar seeds may be viable but will not produce true to type plants. 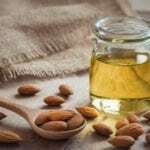 The plants that result from seed may revert to an original parent plant, which though related, might not even be an almond plant. Therefore, the most common almond propagation methods are softwood cuttings or bud grafting. Softwood cuttings is a propagation method in which young shoots of a woody plant are cut off and forced to root. In spring, after the almond tree has leafed out and produced new shoots, select a few young, pliable offshoots for softwood cuttings. Be sure that these are new shoots growing above the tree’s graft union and not suckers from below the graft. Before cutting off the shoots for softwood cuttings, prepare a seeding tray or small pots with a good blend of compost or potting medium. Poke holes in the potting medium for the cuttings with a pencil or dowel. Also, be sure to have a rooting hormone handy. With a sharp, sterile knife, cut the young offshoots that you selected for almond tree propagation just below a leaf node. The selected shoots should be approximately 3-4 inches (8-10 cm.) long. 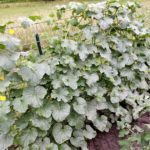 Remove any leaf buds or leaves from the lower half of the cutting. Following the instructions on the rooting hormone that you are using, apply this to the bottom of the cuttings, then place them in the potting medium. Tamp the soil down firmly around the cuttings and gently but thoroughly water them. 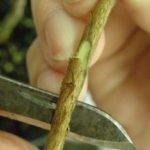 It usually takes 5-6 weeks for softwood cuttings to root. During this time, it is very important to keep the compost or potting mix moist, but not too soggy. Placing the cutting in a greenhouse or clear plastic bag can help retain consistent moisture. Another common method for almond tree propagation is budding, or bud grafting. With this form of tree grafting, buds from the almond tree you wish to grow are grafted onto rootstock of a compatible tree. Rootstock of other almonds can be used for budding almond trees as well as peaches, plums, or apricots. Budding is usually done in late summer. Using careful cuts with a grafting knife, almond buds are grafted onto the selected rootstock by one of two methods, either T-budding or chip/shield budding. 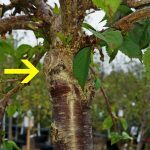 In T-budding, a T-shaped cut is made in the rootstock and an almond bud is placed under the bark of the cut, then it is secured in place by grafting tape or a thick rubber band. In shield or chip budding, a shield-shaped chip is cut out of the rootstock and replaced by a properly fitting shield-shaped chip containing an almond bud. This chip bud is then secured in place by grafting tape.